We're calling it the perfect daily scent. Any fashionable woman knows that smelling good is just as important as dressing in style. Your choice of fragrance is said to be directly linked to the way you carry yourself, your personality, and ultimately your hygiene. And with our unforgiving humid weather, it's definitely a no-no to leave the house without a spritz of perfume. It's quite tricky to find a scent that's neither too musky for the day nor too faint that it dissolves five minutes after stepping out. 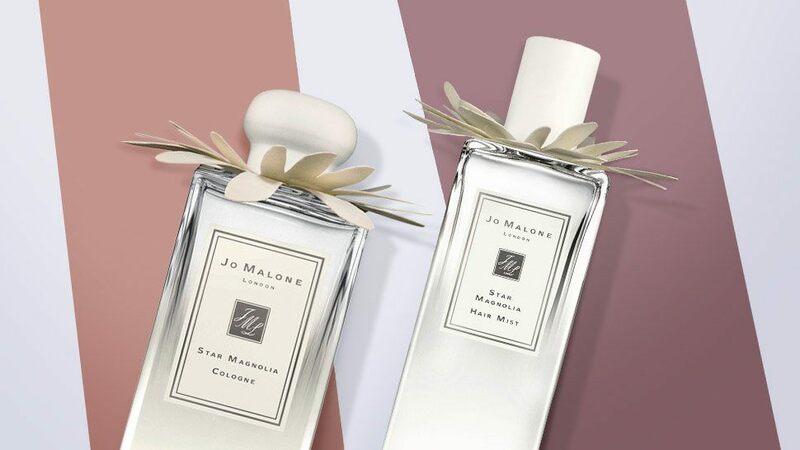 This is why we're over the moon about Jo Malone London's Star Magnolia Cologne: It's airy, fresh, and sophisticated, just the way we like it. Jo Malone London launches a limited edition scent annually, and for 2017, the brand came up with a dreamy combination of lemon, sandalwood, and the pristine star magnolia blossom. The bottle of the Star Magnolia would also be a great addition to your vanity, with its cutout petals layered on top of each other mimicking the actual star magnolia flower. Aside from being a limited edition cologne, Star Magnolia gets extra points for being the scent of Jo Malone London's first-ever hair mist. It's perfect for making your fragrance last even longer throughout the day, especially when you're exposed to so many pollutants in the city. Spritz it on upon arriving at work, and no one will ever guess that you just survived a rush hour train ride. Jo Malone London Star Magnolia’s balance of airy freshness and sparkling charm makes it a perfect fit for our tropical weather. It’s always great that despite a hot and hectic day out, you can carry a refreshing pick-me-up inside your bag. Don't tell us you don't want to smell like a grove of spring flowers all day, because we definitely do. Star Magnolia is exclusively available in Jo Malone London Greenbelt 5, SM Aura, SM Megamall, Rustan's Shangri-la, and Rustan's Cebu. The 30ml cologne costs P3780, the 100ml cologne costs P7560, and the 50ml hair mist costs P2600.